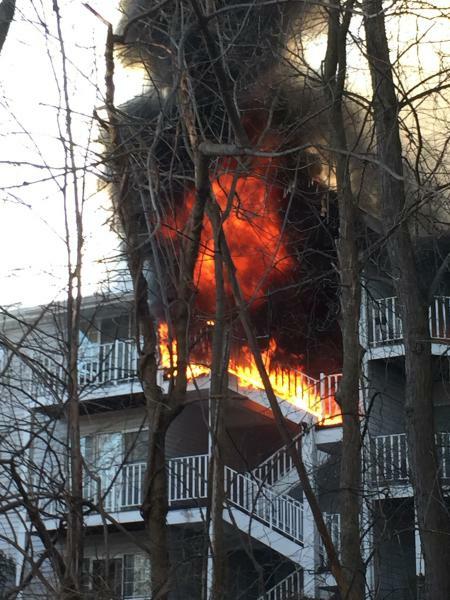 On Tuesday afternoon, February 2nd, the Mahwah Fire Dept was dispatched to 980 Juniper way for a fire in a townhouse complex. 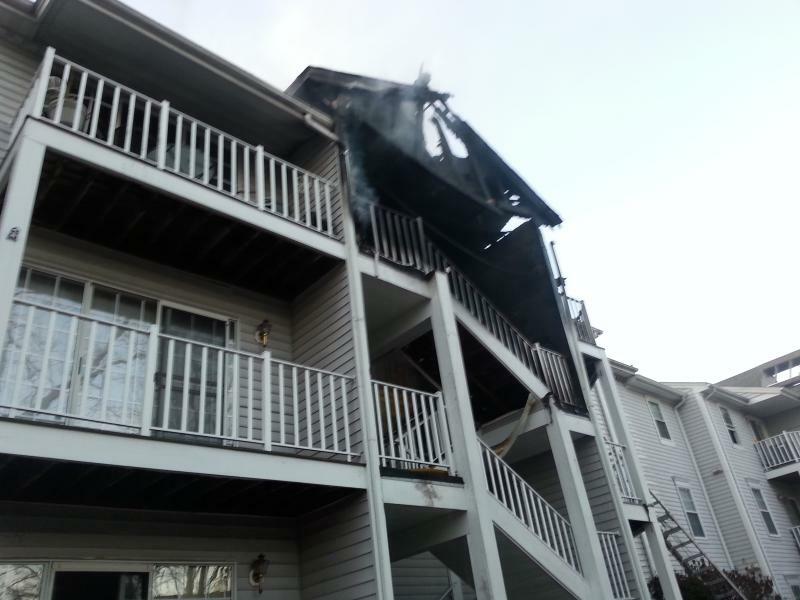 Fire Chief Tom Loreto (130) arrived on scene and was met with a well involved fire on the third floor. 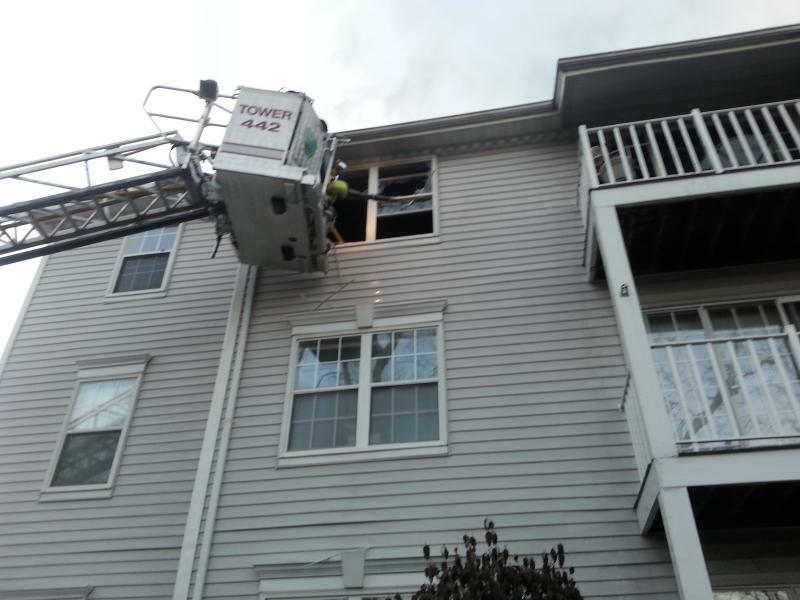 As he was getting set up to establish command and start directing incoming apparatus, a little girl appeared on the third floor deck and was in immediate danger as flames and smoke was rolling out over her head. Chief Loreto ordered the first due engine to get a ground ladder to her. As this was being done, the girl jumped from the balcony into the arms of 3 Mahwah Police Officers, who were below her and coaxing her to jump. The 9 year old was unharmed, other than a couple of scratches. The girl confirmed that there were no other occupants in her condo as the fire spread through her unit. 130 then called for the second alarm bringing Ramsey FAST, Upper Saddle River, Wyckoff, and Suffern, N.Y. As Ramsey got on scene, the Chief ordered tower 442 to work the "C" and "D" side of the complex and the FAST crew now went to work. Wyckoff now became the FAST crew.. Multiple handlines were put into operation for aggressive interior attacks on the main fire apartments and exposures. Truck crews went to the roof for ventilation. 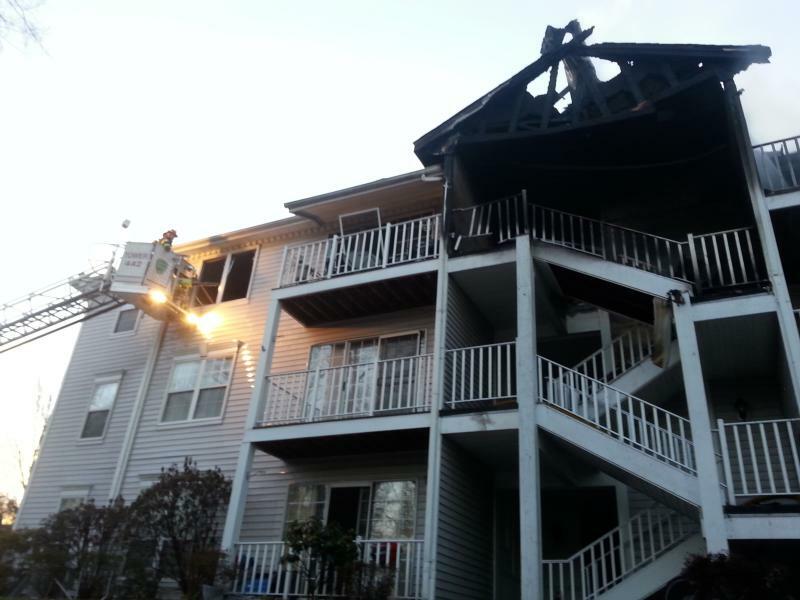 An extensive overhaul operation took place after the main body of fire was knocked down. At one point, the fire got up into the attic and spread through the open area causing an evacuation of the structure and ladder pipes were placed into service. A collapse of the third floor roof over the balcony area on the "C" side also kept interior operations at bay. The fire was brought under control a few hours later and crews stayed on scene into the evening hours controlling hot spots. Great job by all on scene getting control of the fire and keeping it from spreading to other adjoining units. The Mahwah Police officers did a great job with rescuing this little girl, who is now safe with her parents. A job well done by all. The cause of the fire is under investigation and thankfully no one else was injured.